Eat fresher, tastier meat and save money! Real taste in thin slices! 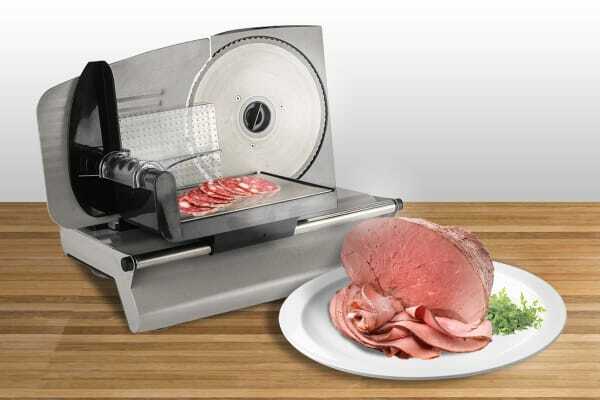 With the Deli Meat & Food Slicer, slice your own meat while you slash your grocery bills too! The Kogan Deli Meat & Food Slicer frees you from the trouble of making frequent trips to the Deli. Now, save time and money by buying larger cuts of deli meat and slicing as and when you need with this convenient slicer. Flavour and aroma are preserved when the surface area of meat slices are not exposed to air for longer than required. Savour true flavours and aromas by freshly slicing from a larger chunk rather than storing smaller slices in your refridgerator. Get tastier sandwiches every time with this handy tool! Slices more than just meat! Try your hand at Italian or Mediterranean cuisines! Slice tomatoes, eggplants, zucchini into slices so perfect that your dish looks like a work of art. Be it fruits, vegetables or cheese, with the Kogan Deli Meat and Food Slicer, your slices turn out perfectly uniform every time. So, go ahead and cook up a storm! Don’t worry if you don’t consider yourself MasterChef material. 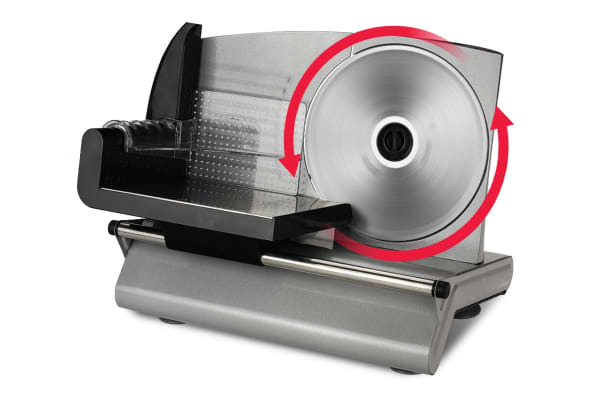 Slicing with the Deli Meat & Food Slicer is as easy as pie! Worried about working with sharp blades? Rest at ease knowing that this ergonomic appliance was built with safety and durability in mind. It has a knife guard for maximum protection while its robust iron housing and casting aluminium motor case give it a very long shelf life in your kitchen.